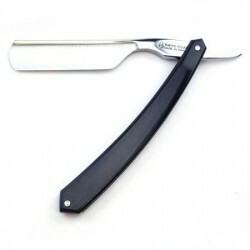 This is an excellent choice for a beginner's straight razor. 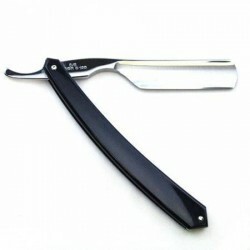 Ideal for heavier beards due to its slightly stiffer blade. 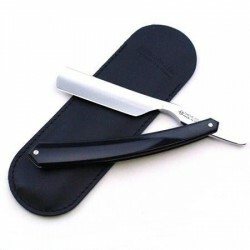 This Thiers Issard 11/16 razor has a "Grelot" form so it has a rounded thumb notch for ease of use. 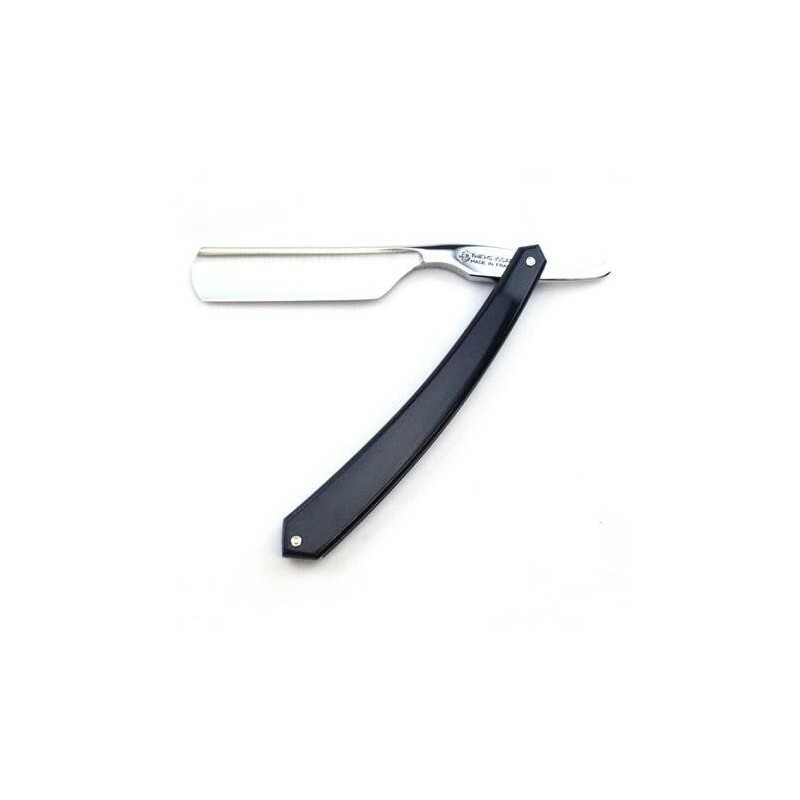 It carries simple black plastic scales and has an unmarked satin finish blade. 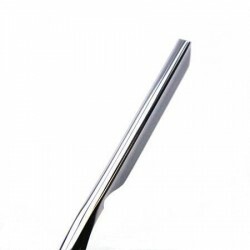 Supplied in a simple pouch.